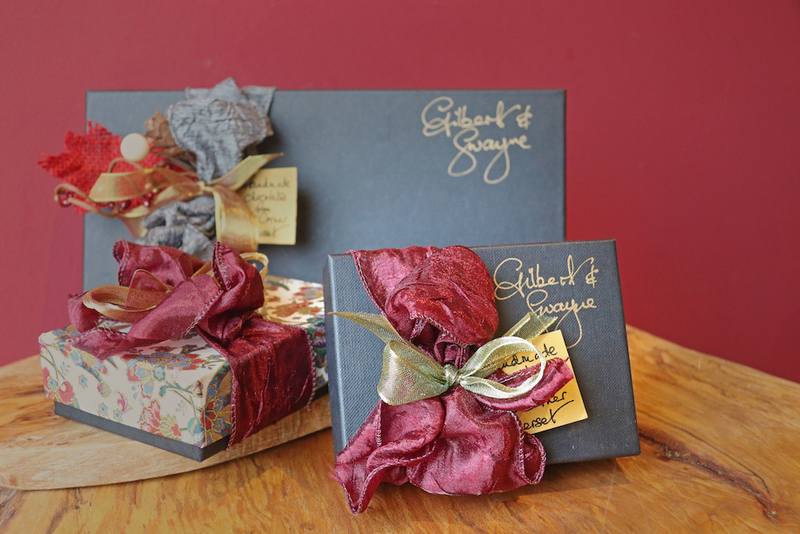 Artisan chocolatier Jane Swayne learned her craft with Meneer Chocola in the Hague and then with World Master chocolatier Ruth Hinks of Cocoa Black. 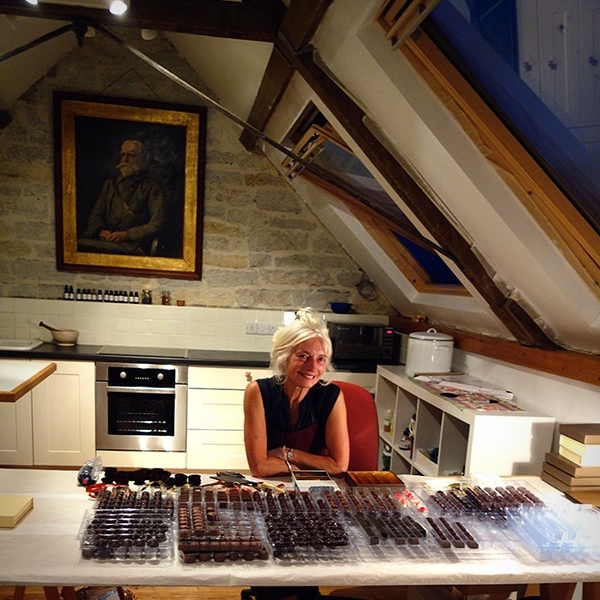 Now she makes her own fresh, handmade chocolates in her workshop in a converted barn overlooking Glastonbury Tor, in the village of Baltonsborough, Somerset. Using fresh cream, fresh herbs, spices and both Fair Trade and single origin, organic chocolate, Jane conjours up the most amazing flavour combos, including lemongrass and cumin; passion fruit and Champagne; blackcurrant, juniper and cassis; strawberry, Somerset honey and creammmm! There’s a dairy free collection made with organic coconut oil, too. Herbs come from her own garden. 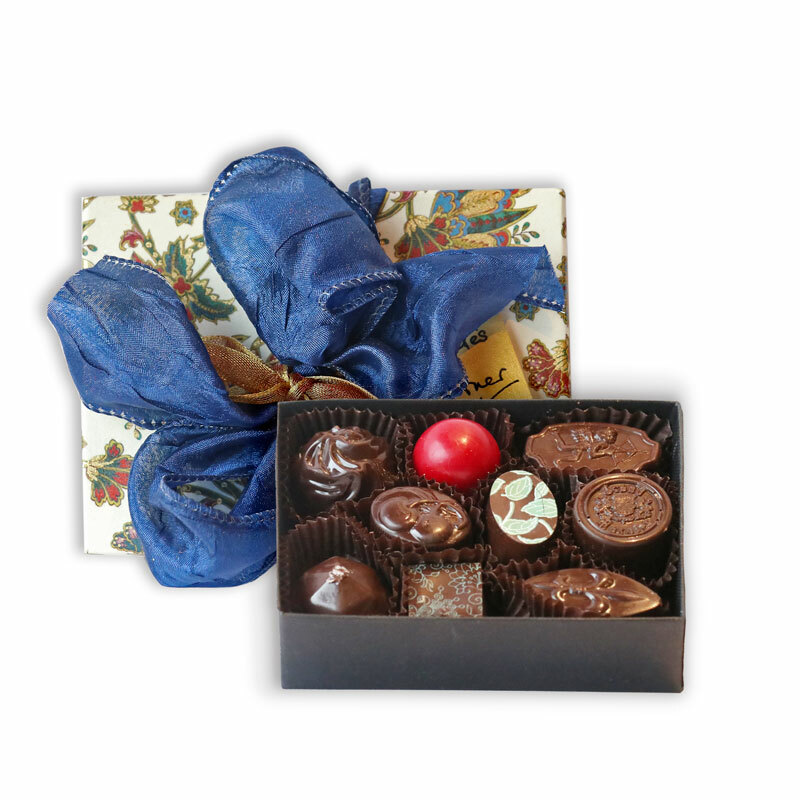 Morello cherries, apple eau de vie and cider brandy come from the Somerset Cider Brandy Company at the base of Burrow Hill. Coffee beans are sourced and roasted by Sherborne’s Read’s Coffee. 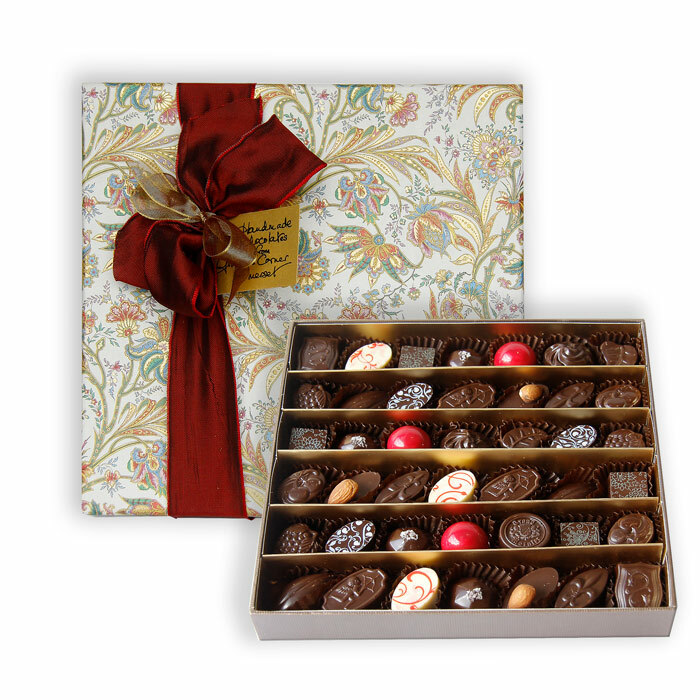 Each box of chocs contains a selection of different chocs (you can make sure your favourites are included). Join her Chocolate Club to receive a monthly supply. Or learn how to make chocolate yourself on her one-day courses (as recommended by Jack, head chef of The Pig near Bath). Drool and buy online. 10% of all online sales goes to charity.